NCS Corporation was founded by Michael Wade Jr. in 1995 with a mission to provide DDC Control Systems with a high level of Quality that he found missing in most of the larger companies. Our Mission Statement: To consistently provide unsurpassed design, supply, installation and ongoing support of quality automation systems to the Puget Sound marketplace in an innovative manner that exceeds the expectations of our customers and surpasses all others in the BAS Industry. In 1997, after thirteen years in the United States Air Force, Thomas Willemin joined the NCS Team. In 2000 Thomas became a Partner in the Business with Michael Wade Jr. Over the next 12 years NCS built one of the largest Wonderware ArchestrA Energy Management Control Systems (EMCS) in the world at McChord AFB in Tacoma, Washington. The EMCS System at McChord is installed in nearly every building on Base. The EMCS incudes a very detailed Schneider ION Enterprise Metering System, HVAC DDC Controls, SQL Server Data logging, Monitoring and control of the Domestic Water Supply and Sanitary Sewer Lift Station System. In 2006, NCS became a Siemens Solution Partner and began competing for contracts at Ft. Lewis Washington. Over the past six years NCS has become the Leading DDC Contractor at Joint Base Lewis McChord (JBLM), winning over 80% of all DDC Construction Contracts. After installing literally thousands of controllers at JBLM we are the Preferred DDC Contractor for the Base. NCS is a growing company with a strong team of professionals. We are now bidding and winning multiple contracts at Sub Base Bangor on the Kitsap Peninsula. We have installed our system at multiple buildings in the American Lake VA Hospital Campus and we are working on our first project for the Seattle VA Medical Center. NCS was awarded a contract to replace the DDC in dozens of buildings at Naval Station Everett and at the Smoky Point and Jim Creek Campus locations. NCS has expanded to provide DDC to Whidbey Island Naval Air Station in Oak Harbor on Whidbey Island. We have expanded our business to the State of Hawaii. We have been installing DDC on Multiple Military Campus locations on Oahu. Tom is a Service Disabled Veteran and is a 51% owner of NCS Corporation. 34 years of HVAC Control Industry experience enables Tom to run a project from start to finish. Tom performs NCS' DDC Engineering, Design Services, and serves as CEO. Tom runs the Tacoma Office & supervises the NCS Team. Mike is the founder of NCS Corporation & President & 49% owner. Mike serves as the Executive Salesman for NCS Corporation while performing NCS' DDC Engineering, and Design Services. Mike has over 34 years in the HVAC Control Industry. Dave came to NCS Corporation in 2008 after a 22 year career in the United States Air Force. Dave is responsible for supervising our Project Operations Team and for close coordination with our Sub-contractors. Dave has over 31 years experience in the HVAC Control Industry. 31 Years of HVAC Controls experience with 22 of those years serving in the U.S. Air force. Dave regularly acts as project lead and has wide spread experience installing, programming, and managing energy systems at Military base facilities worldwide. Dave remodels homes in his spare time. 26 Years of HVAC experience with 16 of those years working with military facility DDC Controls. David specializes in commissioning, and project management for projects at the Joint Base Lewis McChord. David enjoys archery hunting. 11 Years of HVAC Controls experience and a B.A. Degree in Mathematics from Seattle Pacific University. 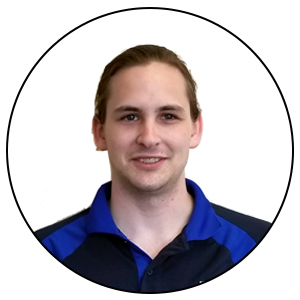 Joseph has in depth programming & data manipulation skills on top of a Niagara AX Developer certification. Joeseph enjoys juggling, dual whistling, and hackeysack. 11 Years of HVAC Controls experience & two Associate Degrees of General Arts & Business from Pierce Community College. Cody specializes in building control panels, & troubleshooting ASI or Distech control systems. Cody enjoys fixing things, archery, & hiking. 4 Years of HVAC Controls experience and an Associates in General Arts at Pierce Community College. Ryan specializes in field verification testing, and Distech control lines. Ryan enjoys running competitions and obstacle course racing. 8 Years of HVAC Control Experience and a specialist in Siemens Control Systems. Tyler aids the sales team with engineering & estimating on complex projects. Tyler enjoys riding dirt-bikes, and hiking. 7 Years of Electrical and Mechanical HVAC work. Edward served in the U.S Marine Corp for 4 years. Ed specializes in Siemens Controls, and Building Automation for critical facilities. Ed enjoys fire arm range activities, and fishing.